Lego Batman 2 is the latest Lego game by Traveller’s Tales, it is the first Lego this generation to be open world and feature extensive voice acting. I was lucky enough to conduct an interview with Jonathan Smith, Head of Production at Traveller’s Tales. Lego Batman 2 is an important game in the Lego series due to its status as the first instalment to introduce voice acting and open-world gameplay. Are these features we can expect to see in future Lego games? We’ve been delighted with the reception for our talking LEGO characters in LEGO Batman 2, and it’s definitely an approach we’ll use again in future titles. We’ve found that it gives us the ability to tell our stories in a different way, with a new kind of humour on top of all the great physical comedy the animation team has been able to create in the past. 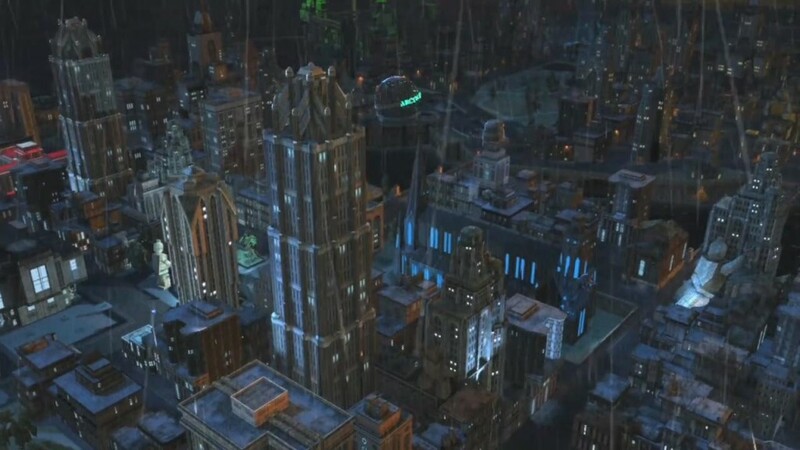 Similarly, we’ve developed so many new opportunities for fun with the scope and immersion of LEGO Gotham City, that you’ll certainly see us build on those – each time in a slightly different way, of course, to keep things fresh and interesting! Is there any reason for online cooperative play being omitted when it seems to be suited to the style of gameplay. Right from the very start, with LEGO Star Wars, we’ve set out to deliver an amazing two-player offline co-op experience. There are many other games which offer great online experiences, and indeed we’ve done that a couple of times, with LEGO Star Wars: The Complete Saga or with LEGO Indiana Jones 2 on 360 and PS3 – but we need to stay focussed on pushing forward that distinctive mode of play where two people are co-operating and sometimes competing in the same room. Given that The Dark Knight Rises is on the way and Batman: Arkham City was released not too long ago, what kind of pressure was on Traveller’s Tales to make a Batman universe that could stand out amongst these other great products? What were the major influences for the Batman you portray (comic book, film or TV show)? We’re incredibly privileged to work with terrific licensing partners, and the teams at DC and WB were always amazingly supportive and enthusiastic. The pressure to be create a distinctive LEGO take on the Batman universe came entirely from the development side, where we have a bunch of eager and creative people, richly immersed in the core ideals of LEGO through many years of experience on LEGO games – who naturally bring a unique sensibility and style to the project. With Mark Hamill hanging up the purple suit, how easy (or difficult) was it to find a replacement? We couldn’t have been happier with the wonderful voice talent we had working on the game, and we were expertly supported by the folks at Warner Bros in the casting process. Some would say that the biggest disappointment with this Lego game was the PlayStation Vita version. Are there any reasons why it was a port from 3DS? In the future is it likely that an open-world and multiplayer Lego game will be developed with the Vita in mind. The PSVita version of the game has graphics created specially for that platform, and obviously makes use of distinctive features of the system including the back touchpad and motion sensors. It also *does* support multiplayer across two locally-connected devices. (As with the console game, we believe that the player-to-player interaction that makes up a local co-op experience in a LEGO game is qualitatively better than an online substitute.) There was no question of us being able to bring across the massive scope and new technology behind the “open world” LEGO Gotham city; but we did add the “Justice League Mode” battles as additional content just for the handheld platforms. 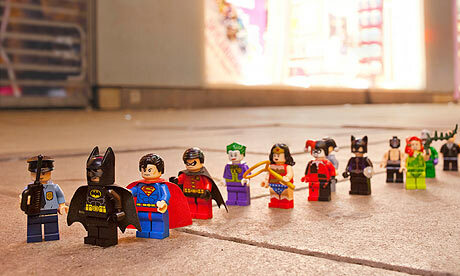 Can we expect any form of downloadable content for Lego Batman 2? Yes, you’ll be able to download additional characters – both heroes and villains – via Xbox Live or the PlayStation Network. The next world for you to tackle is Middle Earth. How do you plan to encapsulate a universe so big in only one game? Will the fans’ few complaints with Lego Batman 2 be addressed in The Lord of The Rings. We love nothing more than to distil great epic universes and stories into the purest LEGO form – we’ve made multiple games now which include all the story, characters and action of three or even four movies. LEGO Lord of the Rings is such an exciting place for us to go next – full of drama, amazing characters, a wonderful world to explore, and of course so many opportunities for mischievous LEGO humour. Online co-op is not in our plans, for the reasons given above. Is the future of Traveller’s Tales set entirely in Lego? We have had teams within TT Games working on non-LEGO games for many years, and will most likely continue to do so. For more on Lego Batman 2 visit their website.